« Straight Otta Compton, Rodney King and 211 degrees. Arriving about 30 minutes early for my meeting I choose to run over to the Cabela’s sporting goods store nearby to marvel at the large selection of animals that are positioned in scenes that make you feel like you are in the forest, jungle, or desert. It is a treat for me to visit a store like this because I’m not a hunter. I like to explore things I’m not familiar with and I get lost in the camouflage, the deer stands, the camping gear, the meat preparation tools, and the animal traps. Before I know it I am now late for my meeting. I turn and walk briskly by the elephant, the tiger, the deer, the rams, and many animals I don’t recognize. In less than 5 minutes I arrive at Bob Evans and find my friend of over 40 years, Mike, sipping coffee and checking his phone for emails at a small table for two. We embrace with a man-hug and I sit down across from him. We exchange stories of family, talk about our careers, share our concerns with the state of our Detroit Lions and 15 minutes evaporates before we look up. In those 15 minutes the waitress fails to stop by our table. I did notice her floating from table to table around us like a bee pollinating flower after flower but never put much weight in the lack of attention she is paying to us. I am too engrossed in catching up with a good friend. Mike notices it and points it out to me and calls the waitress over. I order an orange juice and Mike and I decide to look over the menu and advise her we need more time. We dive back into our exchange and another 15 minutes floats by and the waitress fails to pollinate our table…again. Mike is now furious and speechless. He comment s on how attentive she was before I arrived. It must be stated that Mike is white, we are in Dundee Michigan, which is a very White city and I am black and the only person with such a rich skin tone in the restaurant. We both know why the level of service has quickly declined and neither of us is shocked. As a person of color I‘m accustomed to this type of treatment and my level of irritation is well below Mike’s. He can’t complete sentences as we talk about why we are being purposefully ignored. “Can you believe this?” He asks me. “Yep, it happens all the time. I’m used to it.” Today, I’m not in the mood to fight it. Today, I am not in the mood to dissect it and today I just want it to go away. No matter how often it happens there’s always some element of surprise. This wasn’t something I was expecting to have served with my pancakes. I fight to not concentrate too hard on it because it has the power to ruin my day and I don’t want to concede that power today. Mike is at a loss and upset about what is happening and feels compelled to do something. He gets up and goes to the front counter and asks for our waitress. He advises her we are ready to order. She follows him back to the table and we order. She never returns after the food comes out to check on us, refill our coffee, or ask if we need anything. Finally, when she returns to the table to drop off the bill she appears this small act is like scaling Mount Everest. The energy and attention this requires is obviously a burden to her. Mike looks at me with a look of disbelief and is once again speechless. His reflexes are still intact though because he is able to grab the bill before I do. He insists on paying and won’t let me argue. Ironically, our purpose of the meeting was to discuss a project we were working on that had to do with the conversation of race and poverty and the effects of both. Part of me expected Alan Funt of Candid Camera or John Quinones of What Would You Do to come out. It was that over to top, that unbelievable. I was sure someone was playing a joke on us. We both gather our keys and phones from the table and walk to the front where the cash register is located. Mike states he will meet me outside after he pays and I think this is strange and can’t help but feel dismissed. I leave, he pays and we meet out at his car. He apologizes for what happened over our pancakes and I tell him he has nothing to apologize to me for. He shares with me that he wanted me to leave so he could have a conversation with the person behind the register. He told the young lady he would not be leaving our waitress a tip because of the treatment we received. He made it clear this was obviously racially motivated and that is how we interpreted it. He shared the waitress will no doubt deny this but advised this was our experience in their establishment. When stated this way it closes the door for the typical rebuttal that would argue we misinterpreted the waitresses actions. On the ride home I had mixed feeling about the exchange. I was upset that it happened. I was upset that this exchange tarnished an otherwise great reunion. I was upset and conflicted with what Mike did. Part of me felt small almost childlike because someone was speaking up for me and I was triying to sort out how that made me feel. Part of me felt honored that Mike choose to say something on a day where I wasn’t up for fighting it and part of me felt that I didn’t need someone to stand up for me. Often, I get asked what Whites can do to counteract racism and quickly I respond, “Be an ally.” That day in Bob Evans, Mike was an ally and he did the right thing. He knew the impact of two whites having a conversation about an obvious racially motivated action would be more powerful just between the two of them. In that conversation he clearly stated, “I saw what you did and there is no way for you to convince me otherwise.” There was a level he could take the conversation that I couldn’t. If I would have complained they very likely would just dismiss me as the uber-sensitive Black guy. Here is where the power of an ally is most concentrated. When I came to that understanding it was easier to step back; It was easier for me to be humble and push ego out of the way. I had to realize I can’t request help in one conversation and then when I get it be uncomfortable for getting what I asked for. So what does an ally look like? It requires whites to do what people of color can’t always do. It means being courageous enough to pull other whites to the side and call them out on their racism. As a white person, the impact you can have with others like you can be more impactful. As a person of color I have to understand and trust that when I request the assistance of allies I must be humble enough to let them do work where I can’t and understand that doesn’t make me a child or child-like. Some times I have to concede my ego in hopes of a bigger change. One of the most common responses to perceived racism is “no no you must have seen that wrong….” It is also one of the quickest ways to end the conversation on racism. As a person of color when I share a hurtful experience and then I get met with, “no you saw it wrong,”. It’s hard not to feel as if the experience I shared has been dismissed leading me to be less likely to share in the future. It would be similar if your child came to you and said this person was mean to me and your response being “no you saw that wrong.” It doesn’t take away the hurt and honestly adds to it. I have gone through a unique training class as a person of color in this country and through my 48 years have become very well xtrained in identifying what racism is. This was a very very obvious display of racism. I understand as a parent of children of color the hope is that racism isn’t there and the hope that it is just a misunderstanding is easier to accept than the idea that your children will grow up in a racist world. As a patent of a child of color it is very important you too become trained in identifying racism, so you can help them when they become victims of it. The biggest need I have after such an experience is to be heard and validated. This may seem harsh but if we want to a productive conversation on race we can’t pretend it isn’t there or is just a misunderstanding. You and your friend were quite correct in interpreting what happened. I am sitting here seething about a FB post I just read ranting on the President inviting the young man who was detained by his school and the police for building a clock- because at the bottom of it is racism. If this boy had been white, instead of double whammy- brown AND Muslim, the person who wrote this rant would be supporting him. Hi Jennifer! We live in a crazy world; people walk into schools & movie theaters & kill people, White supremacist (or what ever they are called) have bombed buildings (Oklahoma) & shot people doing bible study (SC). Muslim people have flown planes into buildings (9/11) and planted bombs (Boston Marathon). People are terrified of terrorists & random killers. So there are certain things people are more suspicious of. That being said, it makes sense that the teacher and police suspected a bomb…the case looked like a bomb case. I also think that, if a white Christian kid wearing the confederate flag made something in a case that looked like a gun , he would have been treated the same way. I’d rather have police detaining the wrong people than risk missing something…wouldn’t you? Also, in all likelihood: if the kid were white & Christian, he would not have been invited by the president. I partially agree but disagree that this child wasn’t profiled. Here is the problem with stereotypes and messaging. The stereotype of Muslims is that they are terrorists. So when a Muslim child shows up to school with a clock many see bomb before clock. If he were white since white kid isn’t aligned with terrorist the clock is seen as a clock. Now if the white kid walked in in a trench coat and a long metal object was protruding from the coat he would have been seen as a threat. If a Black boy raises his voice often he is seen as a threat because the stereotype is that Black boys are violent and aggressive. The difficult thing is often this is all done subconsciously. I don’t think the school said, Ahmed is a Muslim and therefore we need to watch him closely(here I agree with you), but I think subconsciously Muslim equals terrorist and therefore this child was punished differently than a white child would have been. There has been study after study done which proves children of color are punished more severely than the white children(see below) so to not even consider it was in play here is unrealistic. Again, as a parent of children of color, you have to tune in to the possibility that your children may be treated differently simply because they are children of color and they may be detained, frisked, or pulled over only because they are children of color and it is easy to say I would rather have the wrong child detained to assure everyone’s safety until the wrong detained child is your own. Lastly, your last statement really hit me below the belt and again is a common response to something like this that has nothing to do with the issue. Should Ahmed’s parents now be thankful because these opportunities have come up? I think if given the choice they would pass on seeing the President and to avoid their child being handcuffed and treated like a criminal. Lastly, again, (sorry) the messaging or pictures of people of color are very monolithic which leads people to see and believe things like all Muslims are terrorist because that is often the only image we see of Muslims. This is quite different for white people. We see images of young white men that are violent BUT we also see them as professionals, fathers, pastors etc. so when a young white male commits a horrible act it is assumed he is an anomaly and not someone who is representative of his race. Often people of color don’t get that benefit of the doubt. 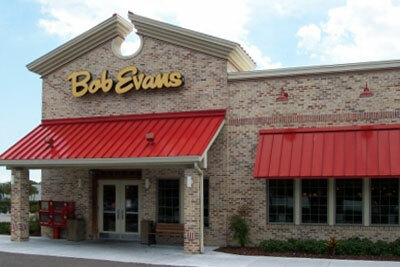 We had a very similar experience at Bob Evans in the Akron area a few years ago. After speaking with the manager on duty I followed up with a complaint to the corporate office. I know this may have been one individual but I would suggest that it is a culture within the company. There is nothing like being on the receiving end of racial animus (or gender or sexual orientation, etc.). As a straight white woman, I didn’t quite understand until I was with my young biracial son. After that first experience, I don’t doubt when others identify another’s actions coming from prejudice. I am so very glad that your friend said something.